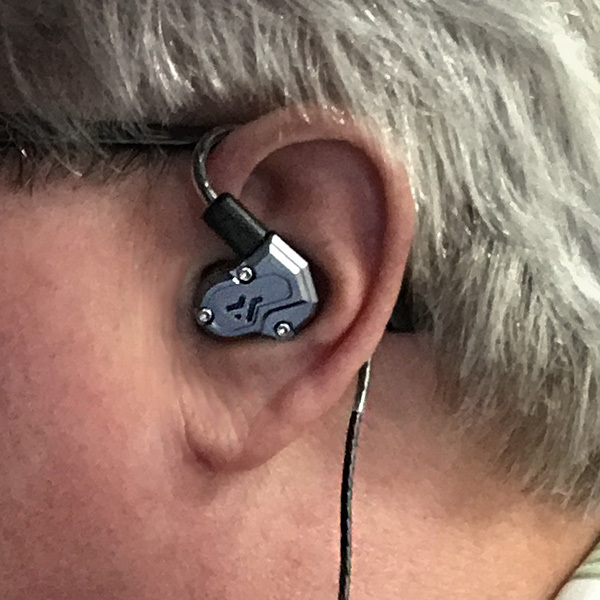 REVIEW – In the world of earphones, there is one constant that ties them all together, and it’s this: there is no constant. It may sound contradictory, but hear me out. I have reviewed earphones that are made with dynamic speakers, armature speakers—and hybrids that utilize both speaker designs. These earphones have ranged from a single speaker to six speakers per ear. And the one (non)constant has been that price has never been dependent on the number of speakers an earphone has. 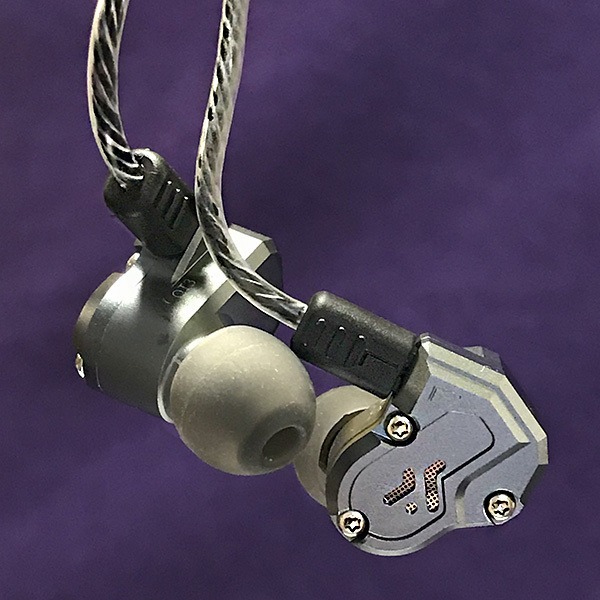 Case in point: the new RevoNext QT3 quad driver hybrid in-ear headphones have four speakers—two dynamic and two armature speakers per ear. For $70. That’s 70, not 700! Despite this ridiculously low price, are they worth it? 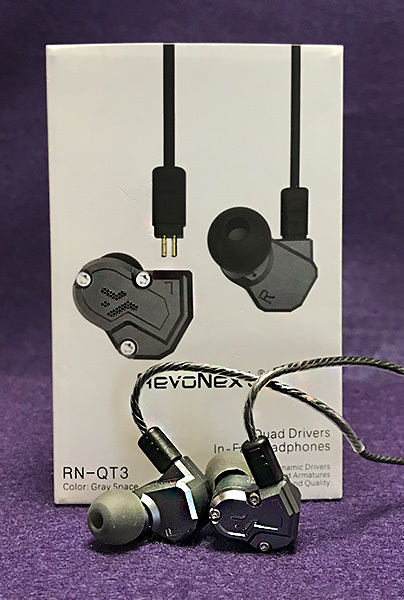 The RevoNext QT3 quad driver hybrid in-ear headphones are an aluminum over-the-ear, quad driver earphone with removable cord. Over-the-ear means that the cord goes up and behind the ear—much like the earphones that stage musicians wear. 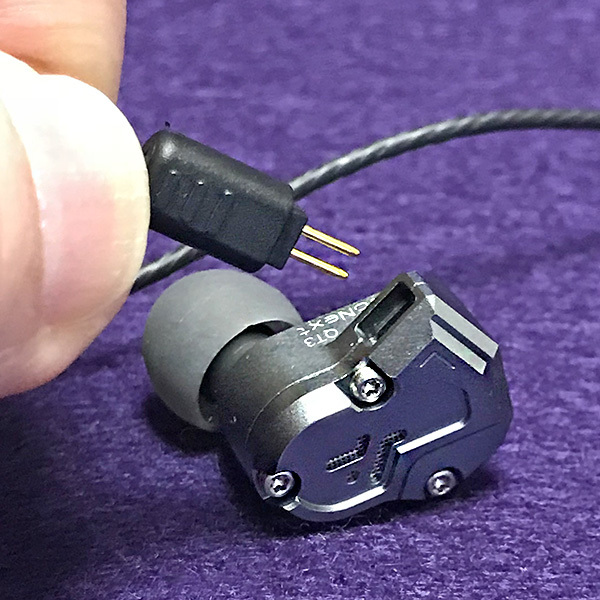 The earphones are universally-sized as opposed to a custom molded earphone. The hybrid speakers are both dynamic (best for bass) and armature (more accurate) designs. Theoretically, this hybrid approach results in a more rounded, best-of-both-worlds earphone, but the reality is more blurred than that. The QT3 earphones are encased in an aluminum shell, which is almost unheard of in this price range. Not only that, but they are built quite strong. When holding them, you would never guess the price was so low. The parts fit together almost seamlessly. The 49 in. cable is more than long enough for almost any use. The removable cable uses a standard 2 pin connector that easily separates, but is a bit fragile. 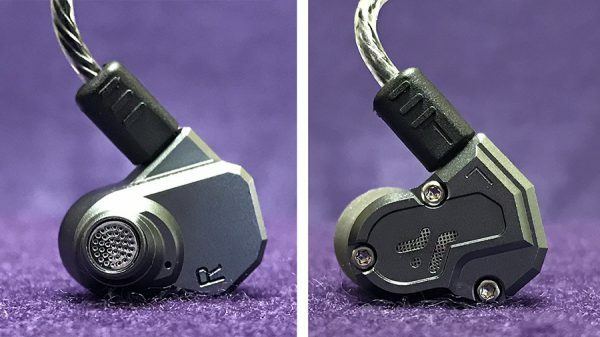 RevoNext is said to be working on a Bluetooth adapter that will use the same 2 pin connector allowing the QT3 earphones to easily switch to wireless mode. That will be interesting to see. The cable has a standard 3.5 mm mini plug connector, so using the QT3 with a newer iPhone will require the infamous Apple dongle. A cable with its own lightning connector would have been a nice option. Each earphone is clearly marked L and R for quick insertion. Since they are over ear, getting them properly inserted is a bit more tricky than regular earphones, but only until you get used to it. 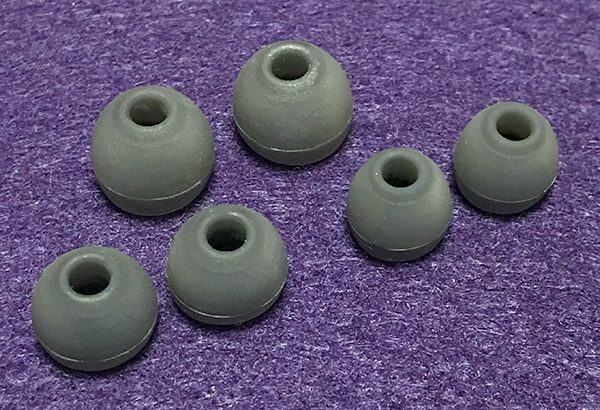 Three sizes of silicone ear tips are included. Comfort with the QT3 earphones is good, not great. While they never became painful when wearing for an extended period of time, I always knew they were there. Note that it’s almost impossible to get a perfect fit with over ear earphones that are universally sized. Ears are just too different. The QT3s are available in matte black, space gray and red. I was sent the space gray to review, but given a choice, I would have chosen red, because … red. As I said before, the quad speakers are hybrid—in this case, two balanced armatures, one dynamic bass driver and one dynamic sub-bass driver. Bass is more accurate than you would expect, given that two bass drivers should make the QT3s a bass monster. My first impression of these earphones was that they were weak on bass, but the more I listened, the more they opened up. The treble comes off as a bit too bright on certain songs. The QT3 earphones are not as forgiving as some other earphones I’ve heard, but those were way more expensive. 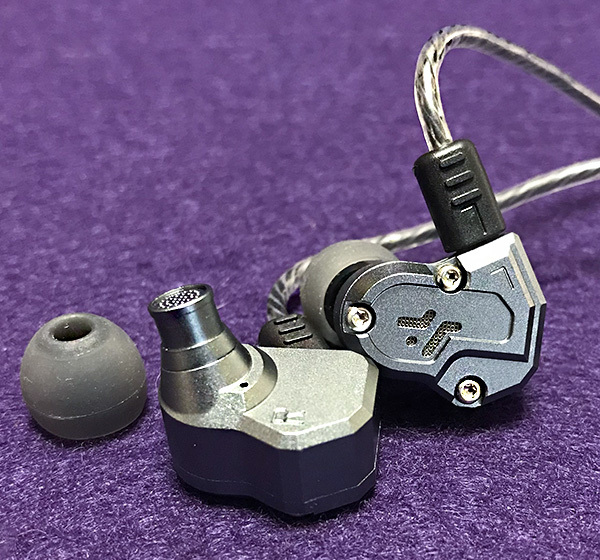 So how do the RevoNext QT3 earphones sound? I was sampling Elton John’s classic “Madman Across the Water” album and enjoyed how the QT3 earphones were able to exhibit detail. Yes, there were parts that were too bright, but older recordings can be guilty of that. The title song had none of this and was totally pleasant to listen to. Emmy Lou Harris’ poignant “Red Dirt Girl” is another example of some too-bright spots. While the album leans towards bass, her voice comes across as hot and gritty. I was able to fix this by adjusting the EQ, which I’m usually not a fan of doing. However, it worked magic with this song. Orchestral Manoeuvres in the Dark (OMD) have some serious bass on many of their songs. “Metroland” has a potent bottom end that you can hear (but not feel) with the QT3 earphones. Once again, changing the EQ did the trick and brought down the treble to a smoother level. The RevoNext QT3 earphones are kinda amazing. Their build quality is as good or better than many earphones I’ve reviewed regardless of price. Treble is the QT3s weak spot. I skipped over some songs simply because they were to brittle sounding. Okay, I’ve heard better single, dual, triple and quad driver earphones before. But never at—or even close—to this price. Seventy bucks is a steal for earphones of this quality. If RevoNext can smooth out the QT3’s too-bright tendencies, then they could easily compete head-to-head with any quad-speaker earphone costing much more. 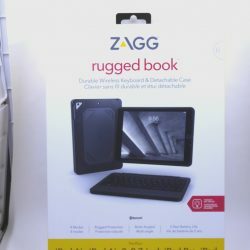 Source: The sample for this product was provided by RevoNext.